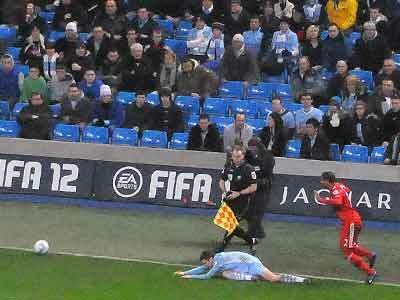 This was not the greatest game to watch as City lost their second match in a row. 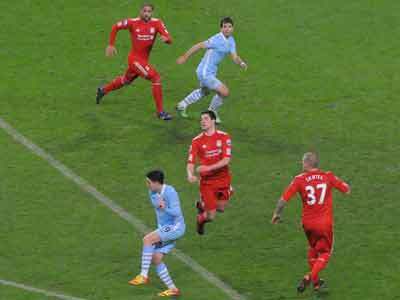 Liverpool had the better of the first half and but for a couple of great saves by Joe Hart we could have been further behind at half time. 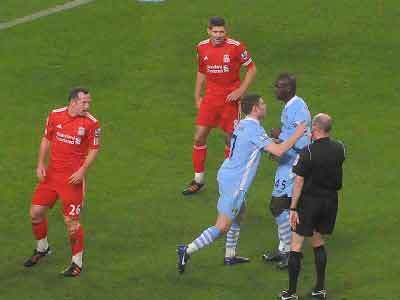 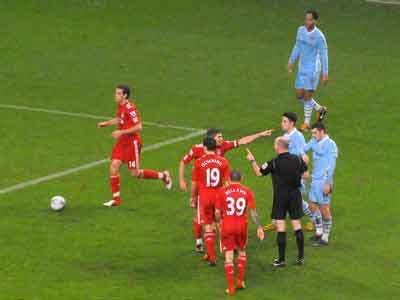 An error by Savic standing in for the suspended Kompany gave Gerrard the chance to score from a penalty and in the second half the visitors went on the defensive packing the last third with players to make sure Reina was well protected. 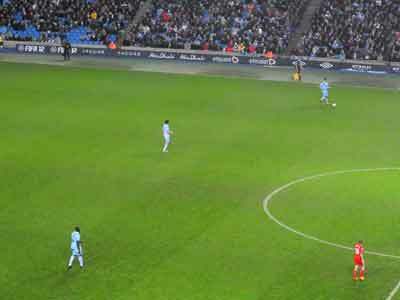 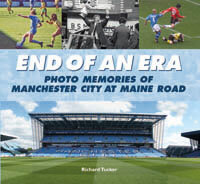 How City missed the creativity of Silva and the probing runs of Yaya Toure!. 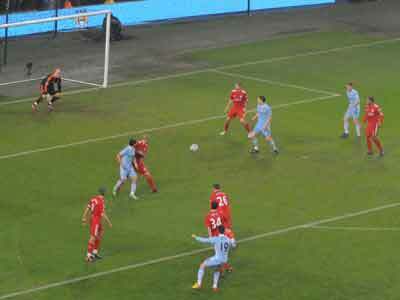 City had 90% of the play in the second half but just could not break down the Liverpool defence and some of our finishing was awful. 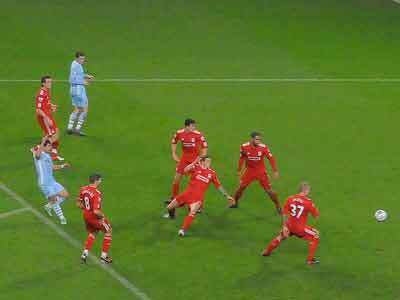 With Liverpool the quickest to the ball in the first half it did seem several players were still tired after their efforts in the second half against United a few days earlier. 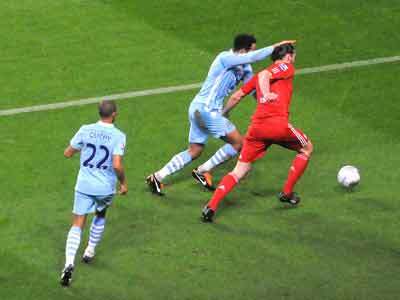 At least we have a second leg to try and reach Wembley but with vital league games against Wigan and Spurs in the next two weeks Liverpool must be favorites to reach the Final. 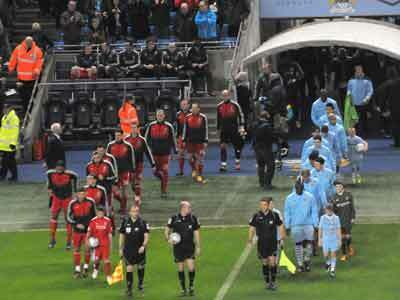 Richards made captain for the day tried hard and apart from Hart was the best of the City players on the day. 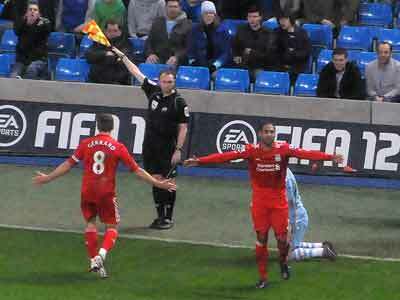 While Liverpool had the strong support of some 6000 fans there were many City fans missing I am afraid. 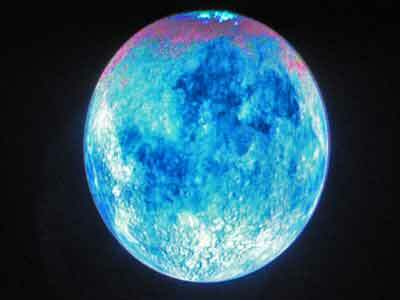 First time we have seen the blue moon for a while and City made several changes from the team that played United . 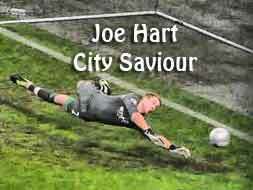 Hart returned to goal, Clichy was in for Kolarov, Savic for Kompany while Balotelli and Barry also returned. 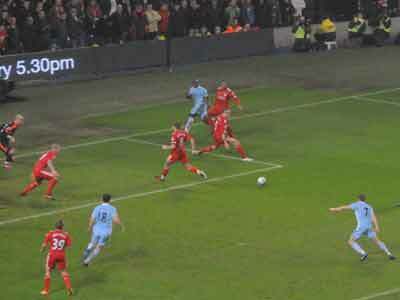 Liverpool almost scored after 4 minutes when Carroll forced his way past Savic and Hart had to make an excellent save. 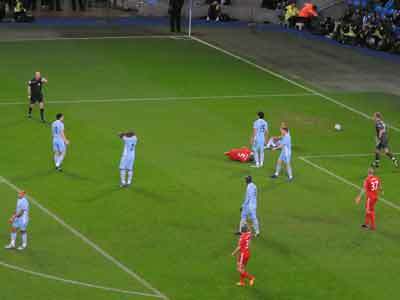 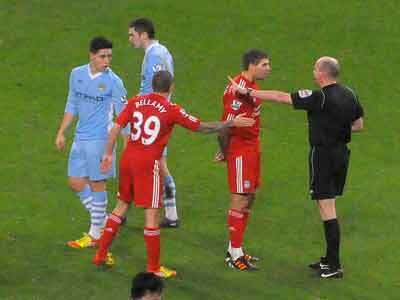 Hart dived the right way but could not keep out the fiercely hit shot by Gerrard . 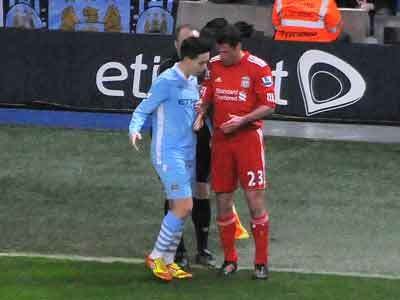 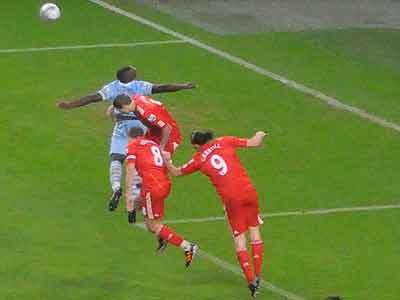 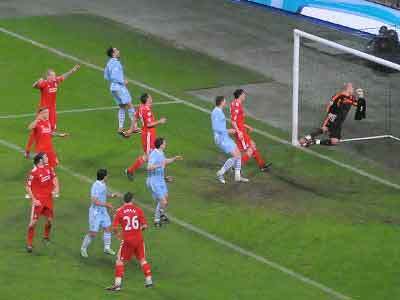 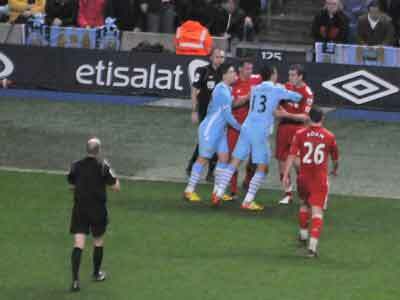 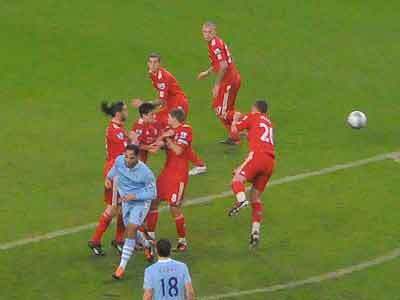 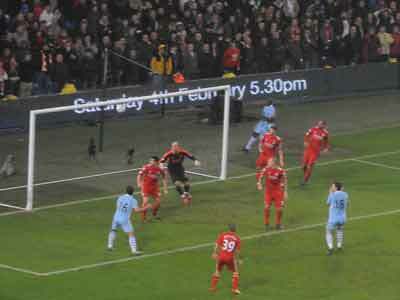 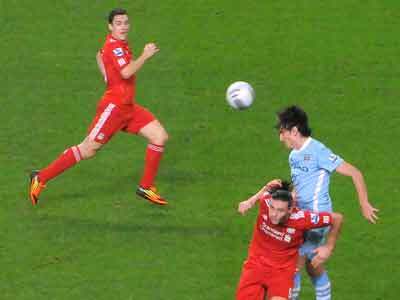 Note the Liverpool player in the box before the ball was hit - mind you it's years since I saw a referee penalize this! 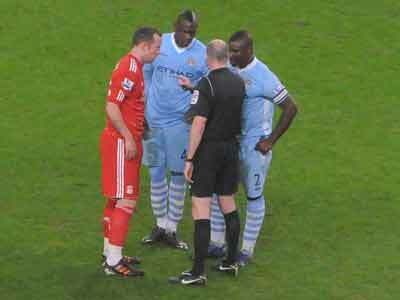 The referee has to have a word with both players to ask them to kiss and make up!